The global credit crisis and flat-lining domestic economy have turned the current job climate into one of the most challenging times in recent history to be looking for a job. According to the Bureau of Labor Statistics, approximately 14 million people are unemployed, about twice as many since the recession started in December 2007. To be a successful job-seeker in this climate, you have to be calm, patient and proactive and try any (or all) of these tips. 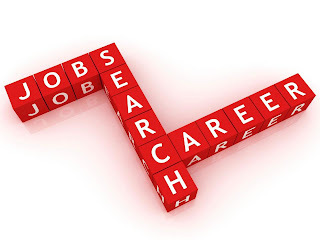 The most important tip when searching for a job in these tough economic times is to retain a positive attitude, since negativity will only increase the amount of stress that searching for a job already brings. Understand that rejection may have more to do with the current economy than your skills or lack thereof, and remember that even the most successful people have persevered through adversity. Learn how to talk about yourself in a meaningful and powerful way. Although learning about the company is important, knowing your skills and abilities may be even more so. Practice by answering various interview questions that address your skills and experience. Update your resume and cover letter, making sure each letter addresses specific skills or qualities the company is looking for. Always send a thank-you note or email after the interview. Utilize your connections and your networking list or social media contacts. As an alumnus, any assistance that you can provide to our graduates is always welcome. In order to prioritize your search, put your time and energy into opportunities that you’re most interested in and that have the best chance of getting the position you want. Pick a few companies you’re interested in and pursue them, whether they have current openings or not. You may want to concentrate on growth industries. If you haven’t really considered online employment as a viable option, it’s time to change your mind. With recessions happening around the world, there are few good places to work these days. But working online can remove the stress a job-seeker has when looking for work locally in bad economic times. Because companies looking for contractors and freelancers are located worldwide, you could essentially work on projects for companies scattered around the globe. If freelancing is not practical for your area, try temping. Temp with a company that interests you. Many of these options pay well and can carry the burden of bill-paying until a permanent position comes along. It may even help you get your foot in the door, as well as aid in networking. *Editors Note: This article is also featured in the Spring 2013 edition of affinity magazine!